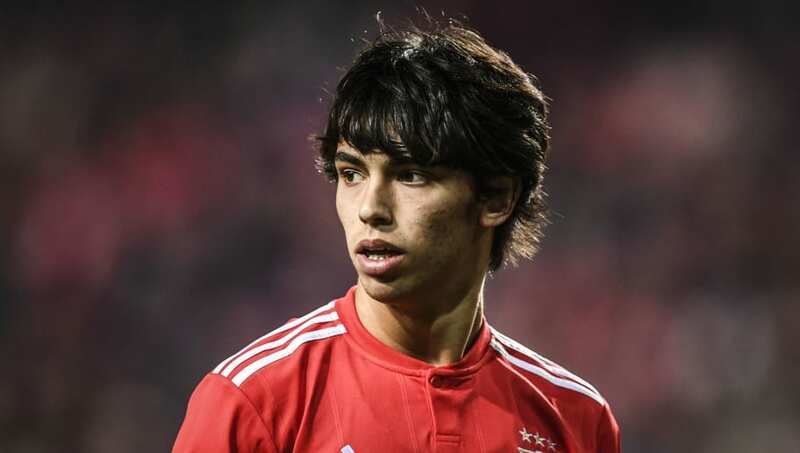 ​Manchester City have joined Juventus, Real Madrid, Man Utd and co. in the race to sign Benfica starlet Joao Felix, and are said to be preparing a mega money bid for the youngster. The highly rated 19-year-old has burst onto the scene this season and has taken Liga NOS by storm. He has contributed to 15 goals in 18 league appearances - scoring ten and assisting five from attacking midfield. Correio da Manhã (via ​Sport Witness) have reported that Man City are set to make a bid for the player after Txiki Begiristain visited Portugal to watch the Felix. To take the youngster to the Etihad for next season however, Manchester City would have to pay no less than €120m. It is reported that City will attempt to add performance based bonuses to any offer in order to lower the initial exorbitant fee. City's director of football Txiki Begiristain was seen at Estadio da Luz accompanied by businessman Jorge Mendes. He was watched by the two representatives of Manchester City in Benfica's Europa League match against Dinamo Zagreb which saw them progress to the quarter final stages. PT | João Felix (19) was called up for Portugal’s Senior team today! Joao Felix has been called up to the senior Portuguese squad that is set to face Ukraine and Serbia in UEFA Euro 2020 qualifiers.The teenager will be hoping to link up with the likes of Cristiano Ronaldo and make an impression under manager Fernando Santos.